GlobeIn can deliver the world in a box. 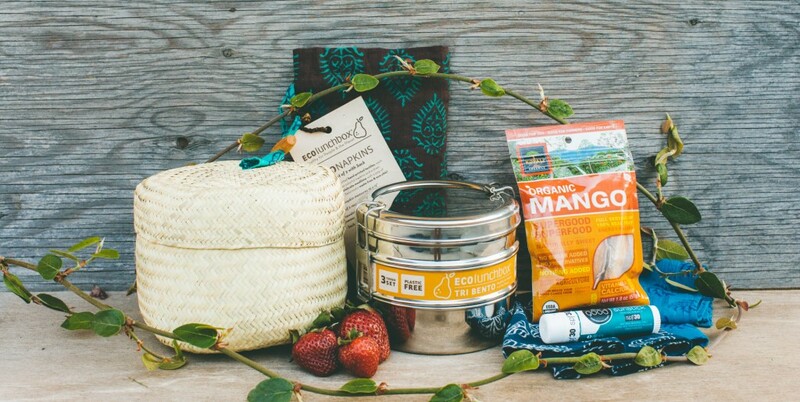 Their boxes are filled with goods produced by artisans and farmers from all around the world. Even better is to know that those goods are organic or came from fair trade. You can subscribe to receive the monthly box. So every month you will get a lot of goodies and help local communities! Sounds great, doesn`t it? We produce a lot of plastic waste on a daily basis, right? Ecolunchbox makes hand-made stainless steel lunchbox so you can play on nature`s side again. Also, there is no need to use paper napkins when you have the beautiful fabric napkins that are produced using wooden-blocks, wax resist dyeing and screens. This one comes from my country! 🙂 A sunstick made of oils from jojoba, coconut, avocado and buriti. 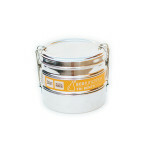 Protection & nourishing in one product. I`m crazy about dried fruits. 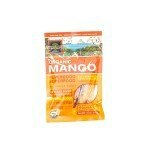 This pack of dried mango comes from Peru where Kopali Organics works with local farmers. Martina could spend up to 6 hours weaving a basket. She learnt this craft with her aunt when she was a child. 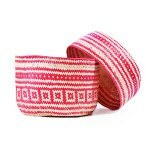 This traditional “tenate” basket is made of palm leaves and coloured using natural paints. We really endorse the work of GlobeIn. Despite the great goods, they are supporting local producers and that’s a pretty awesome action. The best news is that we have a special coupon to our readers! Subscribe to a 3 months plan using the coupon LOVEANDROAD and you will get 25% off on your first month. Stay tuned, soon we will release more good & tasty news! What do you think about this type of products and sustainable market? Share your thoughts! What a great idea! I love the lunch box. I didn’t know that they grew mango in Peru. I buy this stuff all the time when I’m in Thailand. It makes for great gifts.